UFC lightweight champion Khabib Nurmagomedov who successfully defended his belt after submitting Conor Mcgregor in the fourth-round at UFC 229 PPV event last October in Las Vegas. That fight was the biggest in the history of UFC and generated 2.4 million PPV buys. Following Khabib’s victory, a brawl ensued inside and outside the Octagon resulting in both fighters being hit with temporary suspensions from the Commission. Soon after the dust settled Mcgregor demands an immediate rematch. Since then talk of a rematch never stopped, and earlier this month UFC head honcho Dana White also said this contest is likely to happen in 2019. Currently, Nurmagomedov and McGregor are awaiting their punishments from the Nevada State Athletic Commission (NSAC), and the hearing will take place JAN. 29. To remind you last year Conor Mcgregor visited AT&T Stadium and told Dallas Cowboys owner Jerry Jones that he wants UFC fight inside this state of the art facility. Mendez told this rematch will be the biggest money fight in MMA ever. Considering the pair’s first meeting at UFC 229 broke US PPV records. 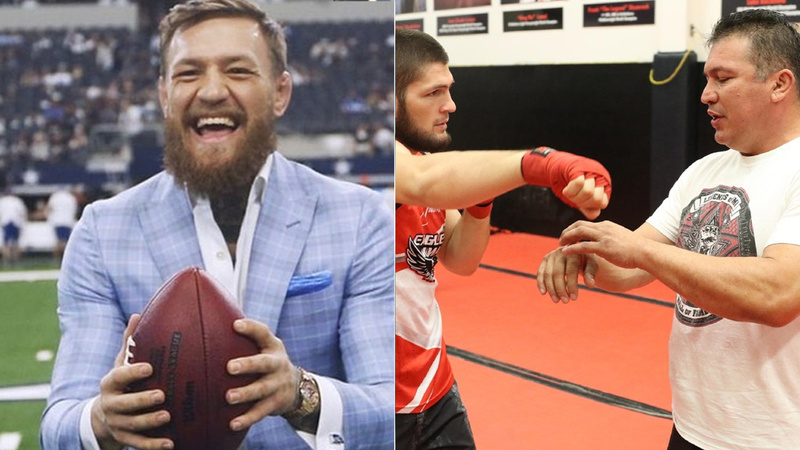 Share your thoughts do you think Mcgregor vs. Khabib will sell out at AT&T stadium?